PARIS 2e: I'm big in Japan? 1 Comments Published by Cedric Benetti on Tuesday, November 3, 2009 at 11/03/2009 12:50:00 AM. Look at what the blogosphere over in Japan has on its picture collections! The fashionista-lovers from the Rick Owens show from some weeks ago. Apparently I can't wear that coat without someone papping me. 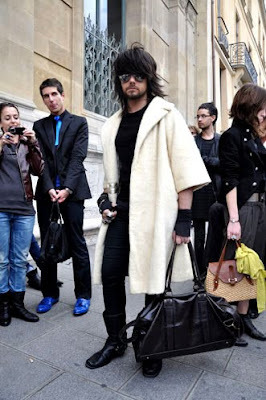 Wow, I like your coat and style the best!